Now 3 to Choose From! We are giving away 3 unique SWOT Templates professionally developed by Ian Pratt to ensure your success! Download templates in PDF or MS word! The classic template is most often used in strategic planning primarily to summarize an analysis of your three strategic environments. The ultimate template includes greater than 50 analysis questions that will help you to complete a thorough analysis of your three strategic environments. There are questions for each of the four segments of the swot analysis. If you have not completed your analysis, this template will save you a lot of time. The distinctive template will help you to identify connections between your internal strengths/weaknesses and your external opportunities/threats. It is a great tool to help communicate the implications of the SWOT to all staff. 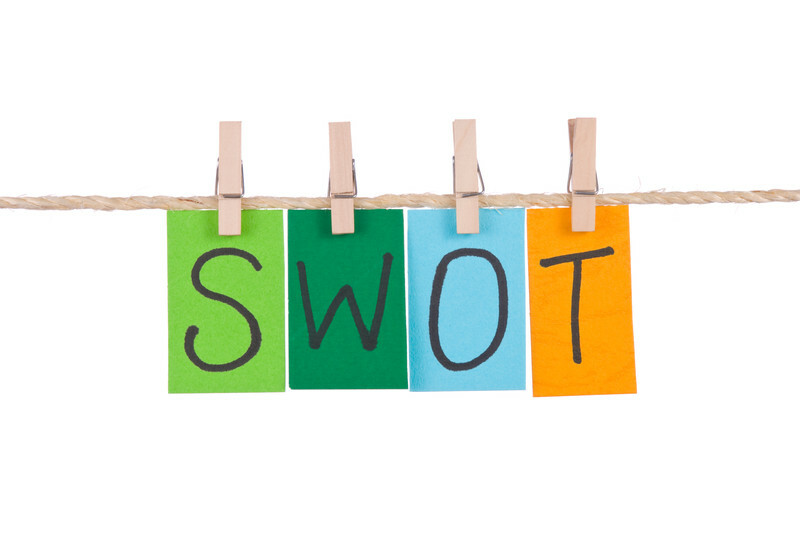 This Classic SWOT template is a great tool for you to use to record the outcomes of your strategic planning analysis or strategy brainstorming session. This template is great, it is easy to use ........ all you have to do is place your content in the appropriate spots, however this template assumes that you already know how to complete a strategic analysis, and that you have completed your analysis. If you are new to strategic planning please scroll down this page to our more comprehensive template. This SWOT template is a great tool for you to use if you would like some guidance with your analysis. This template is 5 pages long and poses a series of questions about your business and your operating environment. Your responses to these questions will form the basis for your SWOT Analysis. 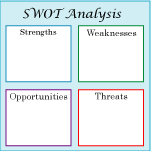 This SWOT template is designed to give you a more rigorous analysis. However you will need to consider you own industry specific requirements as part of your SWOT analysis. Possible Strengths Response Is it a strength? The advantage of this SWOT template is that it has four quadrants that make it easy for you to quickly and simply identify where your internal and external strategic environments interact. Click here for "how to" advice on this template from one of our experts.